For our latest Vender of the Week, we’re putting the spotlight on Gossamer & Grace Bra Fit Studio (formerly Kelly’s Elite Boutique) in Cortland, OH. Founded by Kelly Franko, this amazing shop sells bras for women of all ages, sizes and body types. It’s important to note, though, that Gossamer & Grace Bra Fit Studio is more than just a bra store. This boutique has professional Fit Stylists that handpicks selections for each client, so every woman who walks into the store enjoys a curated assortment of products as well as top notch customer service that can’t be found anywhere else. Can you tell us a bit about how Gossamer & Grace Bra Fit Studio (Kelly’s Elite Boutique) got started? What are you all about and what drew you to this line of work? I originally opened as Kelly’s Elite Boutique in 2002 as a skincare and makeup studio. In 2009, after growing tired of watching my mom struggle with finding a good fitting bra, I decided to start a new journey into bra fitting. Now, my business is in the process of rebranding again as Gossamer & Grace Bra Fit Studio to serve more women in additional communities. I love helping my customers find what they need as there are few places that offer what we do or provide the service we provide. Once I saw the difference a great fitting bra made for my mom, I knew there had to be other women experiencing the same problems she had had. I soon realized that I wasn’t really selling bras, I was selling confidence. Women often come in feeling unhappy with the way they look. Once supported properly, their outlook changes and they leave my store with a new confidence about their image. It’s a great way to serve others. We are in a small, midwest town in Ohio. The community comes together to support its local businesses as well as each other. All of the specialty shops work together to host multiple events each year to bring more people into our lakeside town. Having such support makes it exciting and fun to be in business here. It’s easy to get to know my customers personally so that I learn their preferences and know what products they will like best. I also offer special orders so that customers can get what they want and when. These extras build loyalty and build my fan base. Vend helps me keep track of customers in ways that I can add any information necessary for me to best take care of them. I am not able to recall how I first came across Vend. I am glad I did though! After the trial period, I was convinced that Vend was the system for me. It was so easy to walk through the setup and to begin using the software. For me, I appreciate when I am not bogged down with complex instructions or guides on usage. Vend walked me through in real time and offered help along the way if needed. I absolutely recommend Vend. It brings everything I need together perfectly and in one place. The easy to read dashboard keeps the most important data in front of me at all times. How did you find setup? What’s the setup like in your store? Are you using an iPad, PC, or other devices? The setup was simplistic and easy to walk through. I use Vend on a PC as it allows me the best solution for my boutique. 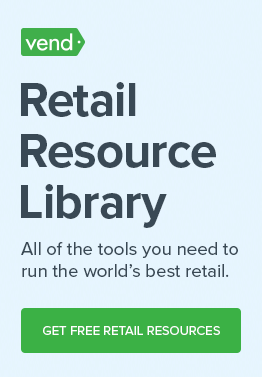 Vend makes it easy to train employees and it’s very much self-directed. The training modules help explore areas in more depth for a fuller understanding, and have helped immensely as a backup educator when I am not in the store to help newer employees. 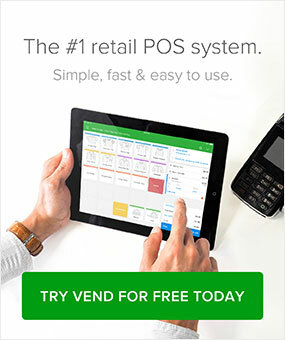 Any time that I have needed to contact Vend for in-person help or to verify information, the staff is always quick to help and explain what information I needed with clarity and completeness. I only wish I found Vend when first opening my business so that I could have operated so smoothly from the beginning with having to switch systems. Vend is so complete and easy to use, it would have made life a lot less stressful by having all systems go from the start.